The marble floors are covered in a jungle of living fur. Little black shapes scuttle and scurry across the cool stone. Tens of thousands of rats are offered food and shelter, darting and scampering over the feet of people. The rats run freely and fearlessly, and one should be careful where they step! It might sound like a horrifying nightmare to some, yet in the small town of Deshnoke – close to Bikaner, Rajasthan – this is a sacred place of Hindu worship; the Karni Mata temple. The Karni Mata temple is one of the strangest holy spots in India, and is more commonly known as ‘The Rat Temple’. This elaborate and secluded Hindu temple was constructed by Maharaja Ganga Singh in the early 1900s, in honour of the Hindu rat goddess, Karni Mata. Exquisite marble panels line the entrance and the floors, and silver and gold decorations flow throughout. The most fascinating feature of the interior is without a doubt the 20,000 rats that call this temple home. These divine animals are called kabbas, which means ‘little children’ in the local language, and many people travel great distances to pay their respects. If someone injures a rat here at the Karni Mata, they are expected to replace the rat with one of solid gold, or forever endure bad karma. It is considered to be extremely lucky, a blessing, to spot an all-white rat amongst the thousands of black ones. The story goes that Karni Mata, a mystical matriarch from the 14th century, was an incarnation of Durga, the Hindu goddess of power and triumph. At some point during her life, the child of one of her clansmen died. She attempted to bring the child back to life, only to be told by Yama, the god of death, that he had already been reincarnated. Karni Mata came to an agreement with Yama. From that day on, all of her clansmen would be reincarnated as rats, until they could be born back into the tribe. In Hinduism, death signifies the end of one chapter and the beginning of another, on the route to a soul’s oneness with the universe. This cycle is known as samsara, and is exactly why Karni Mata’s rats are treated like royals, as the rats house the soles of Karni Mata’s departed devotees. You may be shocked that a temple of this kind exists. In India, as in the West, rats aren’t treated with much admiration. 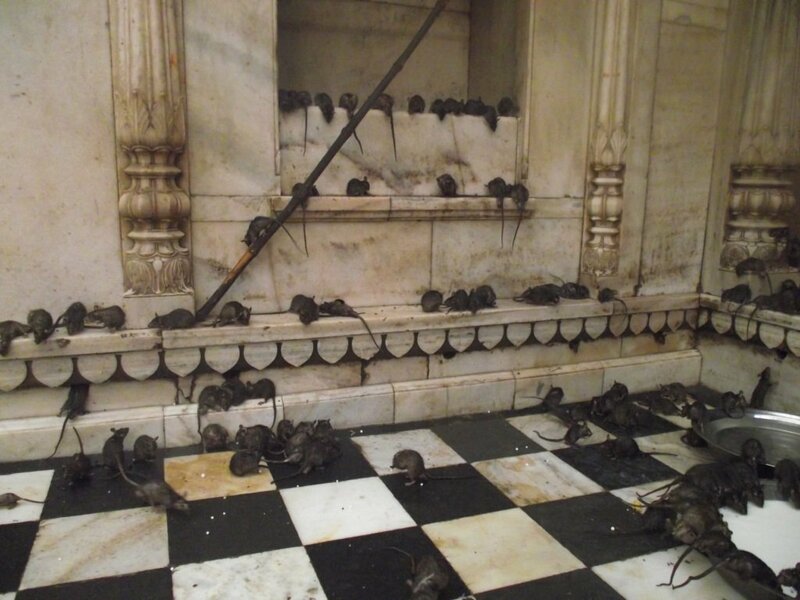 The Karni Mata – rat-worshipping temple – is rare. In the Hindu religion, many gods and goddesses take animal forms. There’s nothing to say that they can’t or won’t take the form of a fish, a bird, or… a rat. 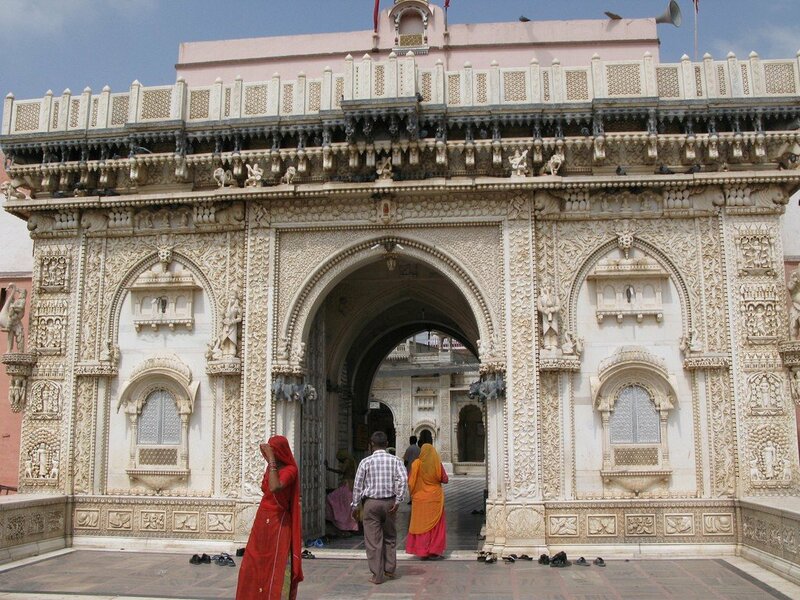 The Karni Mata temple is easily reached from Bikaner, at just 30km away. 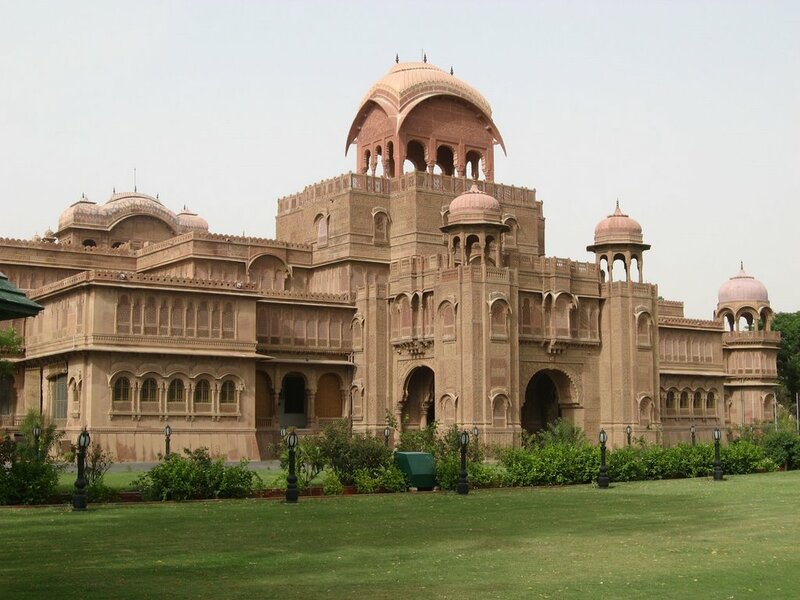 Bikaner is the ideal stop on the way from Jaipur to Jaisalmer, heart of the Thar Desert. The Laxmi Niwas Palace, Bikaner, was commissioned by Sir Ganga Singh Ji in 1904. The palace was intended to provide work to the local people, along with creating a grand residence worthy of Bikaner’s royalty. Sir Ganga Singh Ji was a man of immaculate taste and supervised the construction personally. The geometrically faultless symmetry of its outlay, the decorative filigree work and latticed screens are all credited to his creative vision and character. Only a handful of people were deemed worthy to stay here, including King George V. The palace was since converted into a beautiful hotel, and is certainly the grandest place to stay in Bikaner. The Laxmi Niwas Palace delivers a true insight into the flair and opulence of royal Rajasthan. Rooms at the Laxmi Niwas Palace range from ₹5000 per night, inclusive of breakfast and taxes.